The BioArt project, “BioArt: Borders and definitions. 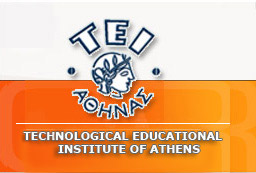 Research project for the development of a widely accepted deontological framework of its production and management”, is implemented by the Technological Educational Institute of Athens (TEI of Athens) coordinated by the Dept. Conservation of Antiquities and Works of Art in collaboration with researchers from the Panteion University of Athens and Columbia University (USA). The project started on April 1st, 2012 and has duration of 30 months (the project has been extended until June 30th , 2015). In the framework of the project, an e-workshop of experts entitled “Collecting and Display BioArt: Ethics and Guidelines” will be implemented. The final outcome of the research project will be presented at an International Workshop which will be hosted in TEI of Athens in April 24th 2015. The project is operating under the Action “Archimedes III” of the co-operational program Education and Life Long Learning, which is co-funded by the Greek Ministry of Education and the European Union.